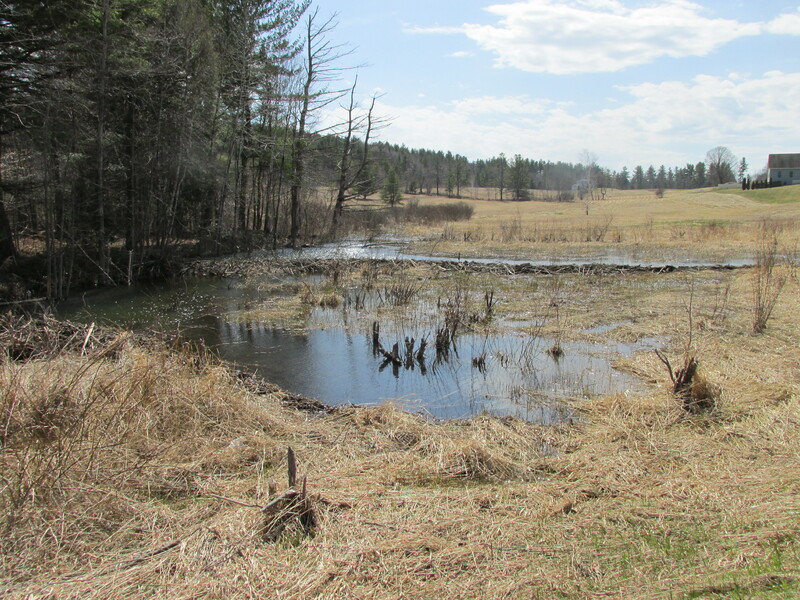 Three or four years ago Beavers were at this same spot. It’s the route that most people in Colrain take to the main road Route 2. I watched them on my way to work and back. It was so interesting to watch their progress. Unfortunately people do not appreciate Beavers. Yes, sometimes they are in areas where flooding would be a problem. But in this area at the moment no-one is affected. I do hope they won’t “disappear” again. I don’t know how the goat got on top of the chicken coop. While we were there a woman with a pail of grain was coming to lure him down. 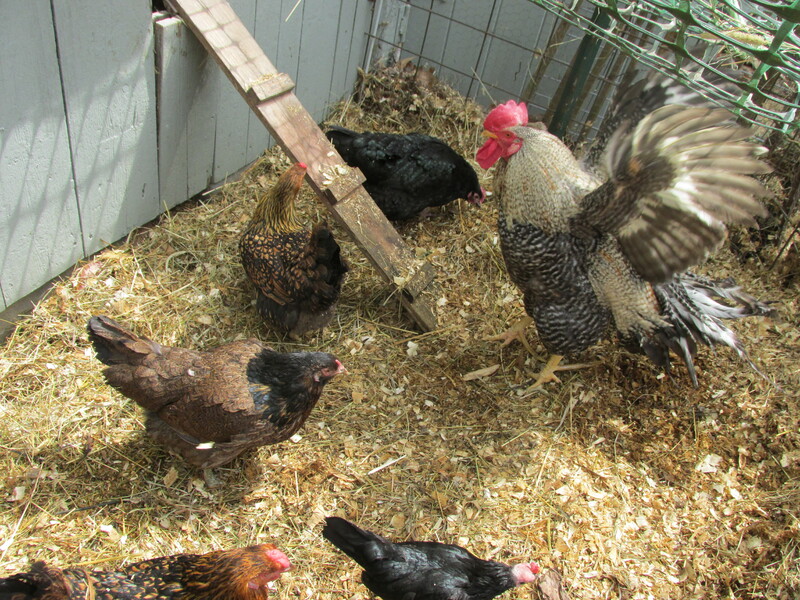 The front hens and Murphy are out today. They really enjoyed being out. There is still snow underneath the hay but that will melt soon. I am going to enlarge their yard and will probably finish it after Camp Wool. Today I have started preparing a couple of bins for the potato seedlings, I will have to get the other bins ready. The potato seedlings should be arriving soon. 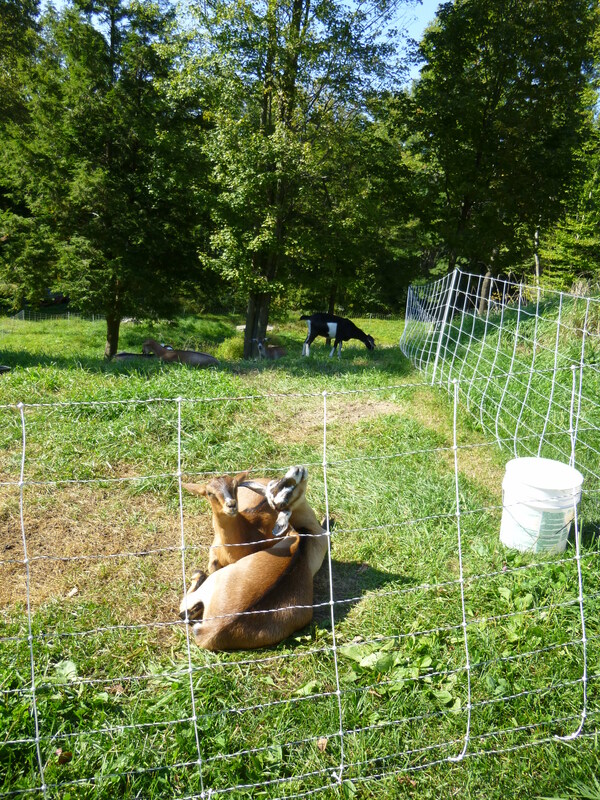 Where fine Goat Cheese is made. Today I had to pay Joe for the Hay. It’s a 10 minute ride to his farm. 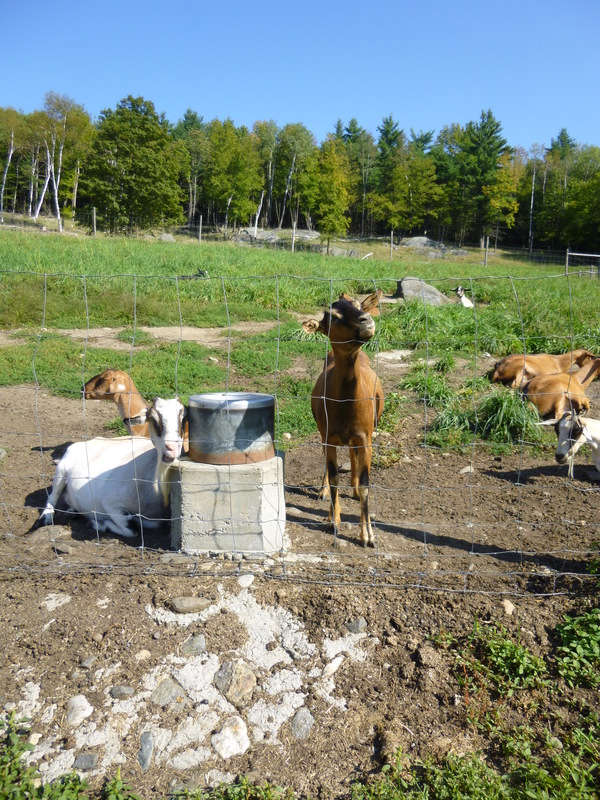 He and his wife Carolyn make goats milk cheese and sell it at local farmers markets including the Northampton Farmers Market. 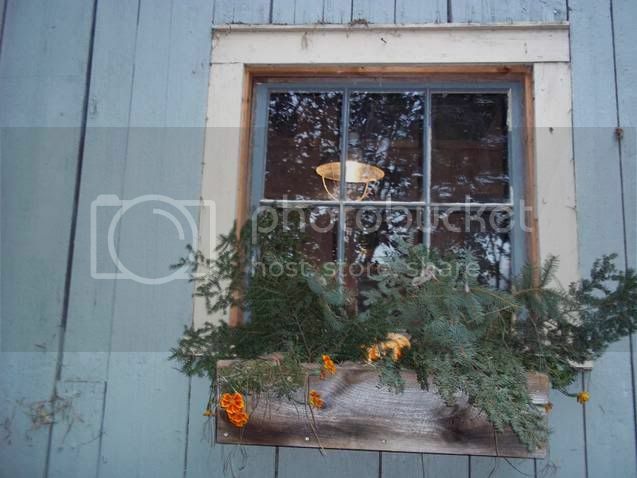 The ride to their farm is mostly done on a windy dirt road with many beautiful sights along the way. Today I saw a turkey Mom with 8-10 little ones. They looked like they were teenagers taking different paths than Mom and her scolding them. I stopped and watched them for a few minutes. There cheeses are excellent so if you get a chance try some. 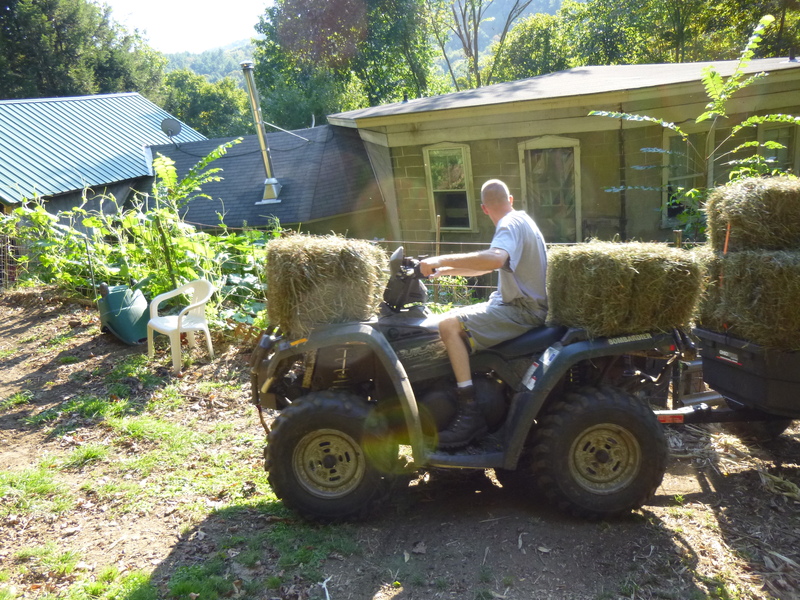 Taking the hay up the hill and to the barn sure is much easier with an ATV. I bought the small trailer this spring and its been very useful. My son David is driving. 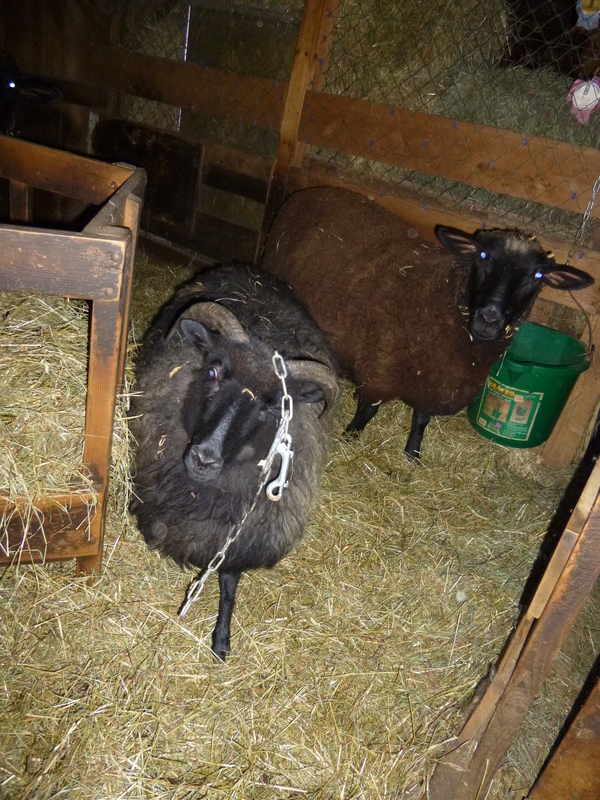 Marley, being the imp that he is wanted first dibs at the new hay and got himself tangled in the door chain. That boy is always getting himself into trouble. 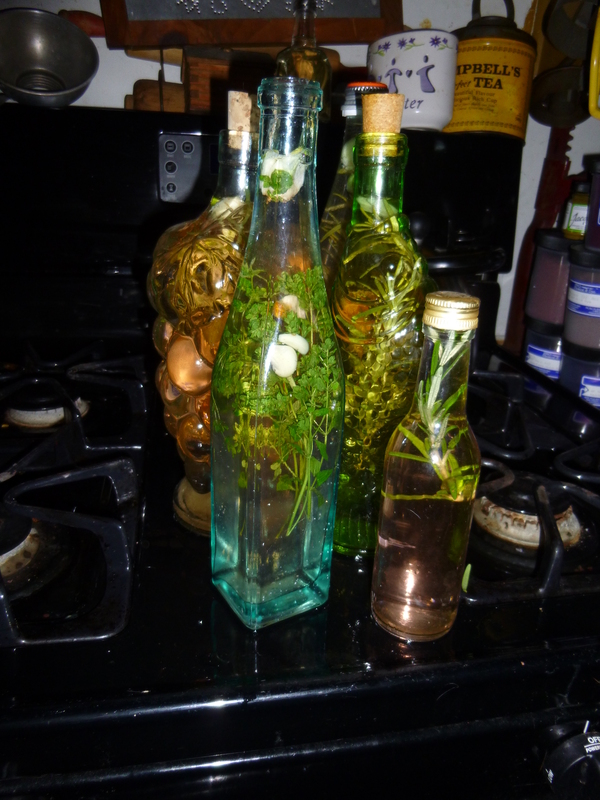 I made some herbal vinegar today, 3 bottles of rosemary and garlic and one bottle of oregano and garlic. I will make a couple more batches and keep some of them as gifts. It’s easy to make. Buy a good quality white vinegar or you can use cider or wine vinegar. Add some of your favorite herbs, I like rosemary as you can leave the rosemary and garlic in there. Other herbs turn mushy and you will have to strain them out. Bring the vinegar to a low simmer and turn burner off. Add your washed herbs and garlic if you wish to the bottles and pour the vinegar in. Seal the bottle with a cork or cap and your done. A label adds a nice touch. Thank you for reading my blog and Have a good day.